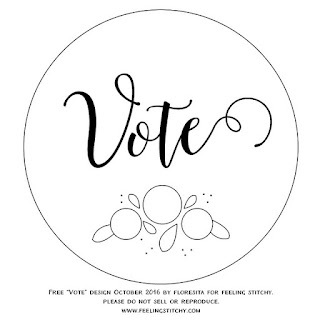 feeling stitchy: Vote for a free "Vote" pattern! Hi guys! 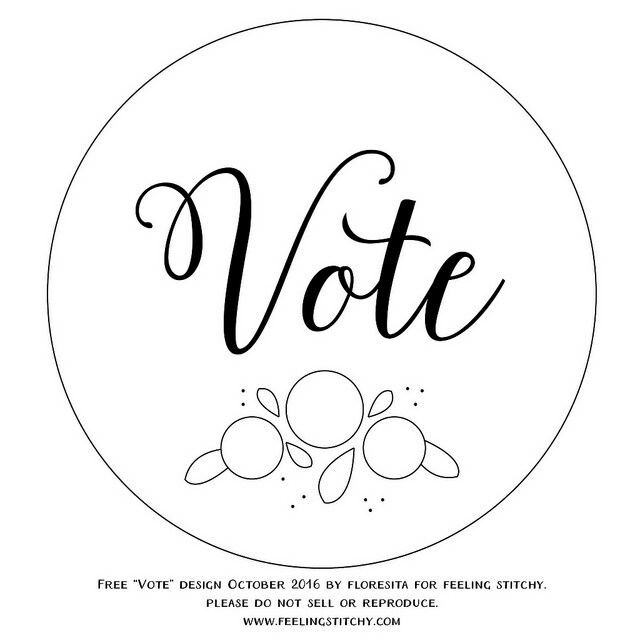 As everyone in the U.S. heads to the polls this week and next, I thought I'd do a fun "Vote." 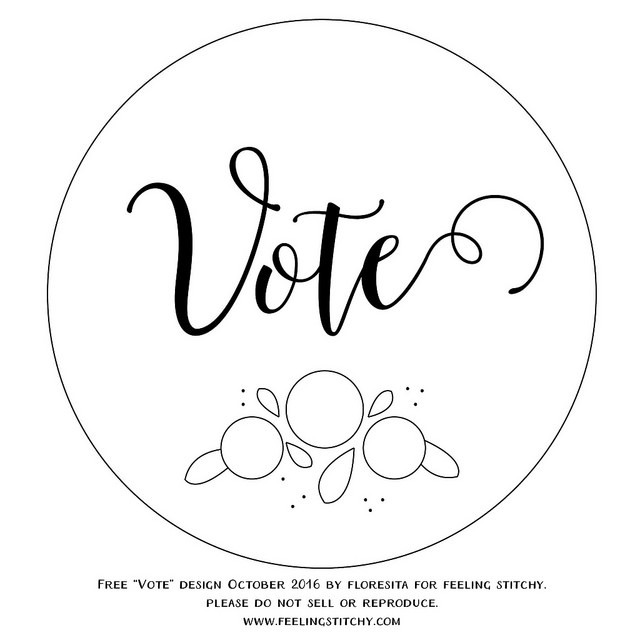 :) I've drawn up 3 different designs - ok, so maybe only the lettering is different in each, but it's really hard for me to choose a font! I'm collecting votes on Instagram, Facebook, Twitter, and here. 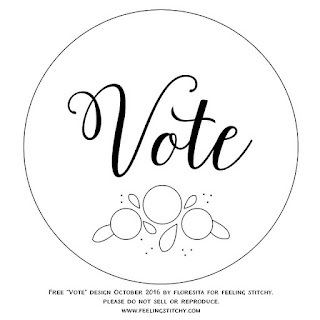 Choose the "Vote" design you like the most, by casting your vote in the comment section. I'll stitch up the winning design and offer the free pattern as a PDF here on the blog. Sound fun? 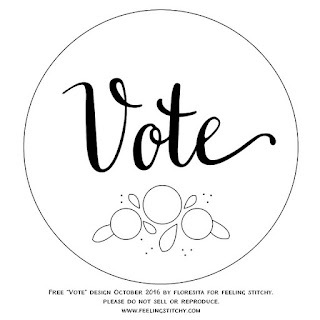 Let's vote! Cast your vote in our comments by 9 PM US CST, October 28, 2016. 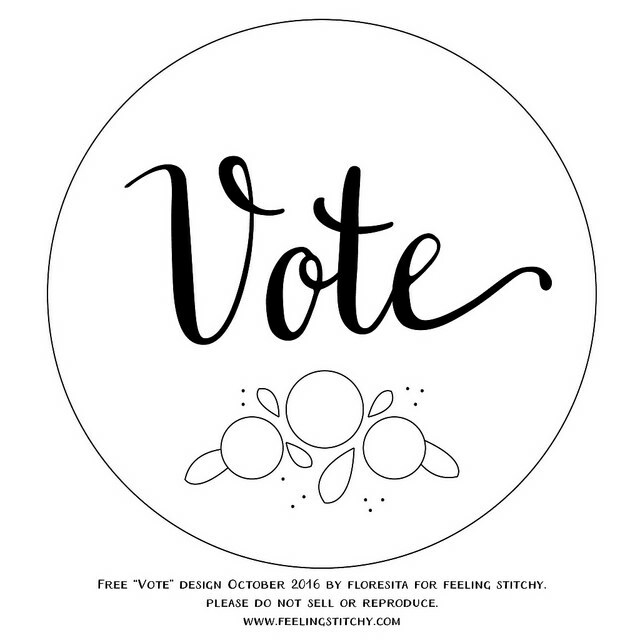 This "vote" is open to everyone, including our overseas voters!